Flat triangle in Euclidean geometry are three angles formed by the parties. The values of these angles can be calculated in several ways. Due to the fact that the triangle is one of the simplest figures, there are simple formulas that are even more simplified, if applied to the correct and symmetrical polygons of this kind. If the known values of two angles of an arbitrary triangle (β and γ), the value of the third (α) can be determined from the theorem about sum of angles in a triangle. She says that this sum in Euclidean geometry is always 180°. That is, for finding the only unknown angle in the triangle vertices subtract from 180° the values of the two known angles: α=180°-β-γ. If we are talking about a right triangle, to find the values of the unknown acute angle (α) it is enough to know the value of the other acute angle (β). As in this triangle the angle lying opposite the hypotenuse is always equal to 90°, then find the value of the unknown angle subtract from 90° the value of the known angle α=90°-β. 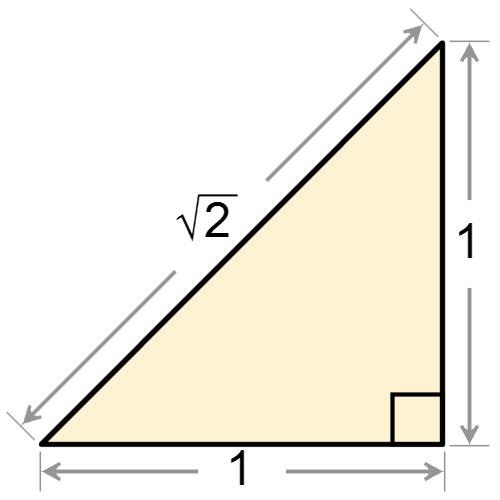 Isosceles triangle is also sufficient to know the value of one of the corners to compute the other two. If you know the angle (γ) between the sides of equal length, to compute both the other angles, find the half of the difference between 180° and the value of the known angle - these angles in an isosceles triangle are equal: α=β=(180°-γ)/2. This implies that if we know the value of one of the equal angles, the angle between the equal sides can be defined as the difference between 180° and the doubled value of the known angle γ=180°-2*α. If you know the lengths of three sides (A, B, C) in an arbitrary triangle, then the measure of the angle to find the cosine theorem. For example, the cosine of the angle (β) lying opposite the side B, can be expressed as the sum of the squared lengths of the sides A and C, reduced by the squared length of side B divided by twice the product of the lengths of the sides A and C: cos(β)=(A2+C2-B2)/(2*A*C). And to find the measure of an angle, knowing something is equal to its cosine, we need to find it, the ark function, that is the arc cosine. Then β=arccos((A2+C2-B2)/(2*A*C)). Similarly, you can find angles lying opposite the other sides of that triangle. 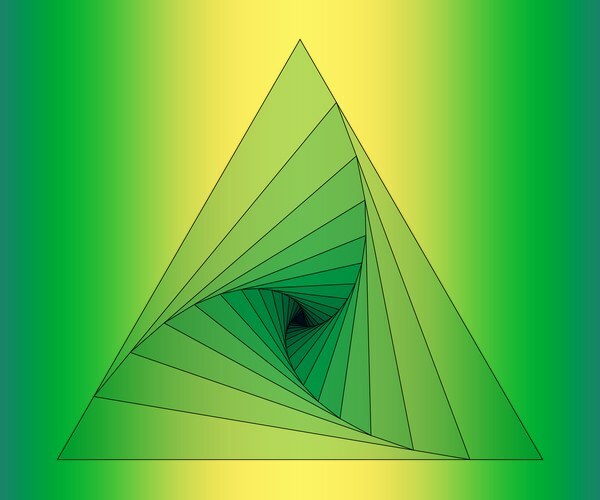 The triangle is the simplest polygon, bounded on the plane, three points and three segments connecting pairs of these points. The angles in a triangle are acute, obtuse and straight. The sum of the angles in a triangle is constant and equal to 180 degrees. Basic knowledge in geometry and trigonometry. Let us denote the lengths of the sides of a triangle a=2, b=3, c=4, and angles u, v, w, each of which lies opposite one of the sides. Cosine theorem the square of the length of the sides of a triangle is equal to the sum of the squares of the lengths of the other two sides minus twice the product of these sides into the cosine of the angle between them. That is, a^2 = b^2 + c^2 - 2bc*cos(u). Substitute into this expression the lengths of the sides and get: 4 = 9 + 16 - 24cos(u). Express from the equality cos(u). Will receive the following: cos(u) = 7/8. Then find the actual angle u. To do this, we calculate arccos(7/8). That is, angle u = arccos(7/8). Similarly, expressing the other side through the other, find the remaining angles. The value of one angle cannot exceed 180 degrees. Under the sign of the arccos() can not be a number greater than 1 and less than -1. In order to find all the three angles is not necessary to Express all three sides, you can only find 2 corner, and to the third by subtracting from 180 degrees the values of the other two. This follows from the fact that the sum of all the angles of a triangle is constant and equal to 180 degrees. The rectangular triangle is characterized by certain relationships between the angles and sides. Knowing the meaning of some of them, you can calculate the other. For this purpose, formula, based, in turn on the axioms and theorems of geometry. Directlythe coal triangle are the two acute angles, the value of which depends on the lengths of the sides, and one angle is always the same value of 90°. 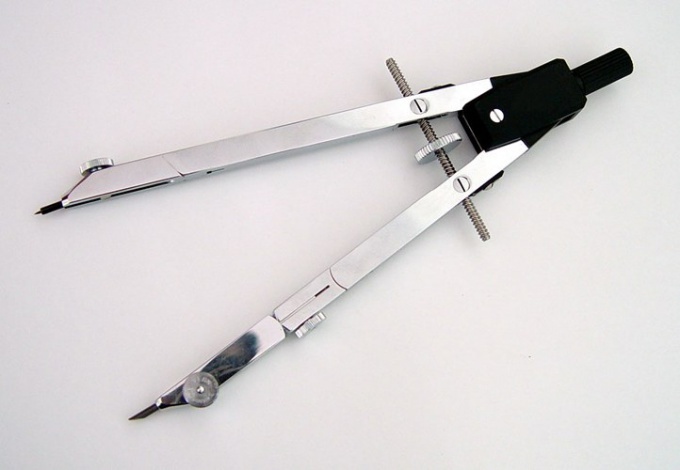 To calculate the size of the acute angle in degrees, using trigonometric functions or theorems about the sum of the angles at the vertices of a triangle in Euclidean space. 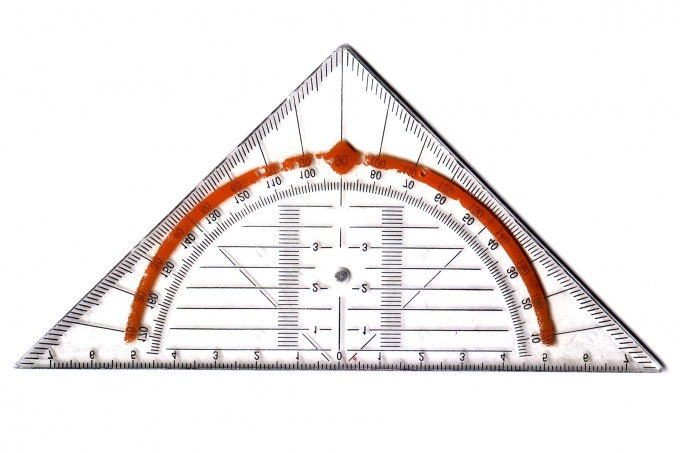 Use trigonometric functions, if the conditions of the problem given only the dimensions of the sides of the triangle. For example, the lengths of the two legs (short sides adjacent to the right angle) you can calculate either of the two acute angles. The tangent of the angle (β), which is adjacent to the leg And can be found by dividing the length of the opposite side of him (In the leg) length of side A: tg(β) = B/A. But knowing the tangent, you can calculate and the corresponding value of the angle in degrees. This is a function of the arctangent: β = arctg(tg(β)) = arctg(b/A). The same equation is possible to find the magnitude of the other acute angle, lying opposite the leg of A. Just change the designation of the parties. But you can do it in a different way, using another pair of trigonometric functions cotangent and arc cotangent. The cotangent of angle b is determined by dividing the length of the adjacent side And length of opposite: tg(β) = A/B. And the arc cotangent will help to extract from the received values the value of an angle in degrees: β = arсctg(сtg(β)) = arсctg(A/B). If the baseline given the length of one of the other two sides (A) and the hypotenuse (C), to calculate angles use inverse sine and cosine inverse sine and inverse cosine. The sine of an acute angle β equal to the ratio of the length lying opposite leg to the length of the hypotenuse: sin(β) = B/C. So, to calculate the value of this angle in degrees use the following formula: β = arcsin(V/C). And the value of the cosine of the angle β is determined by the ratio of the length adjacent to the top of the triangle leg And the length of the hypotenuse C. This means that to calculate the angle, in degrees, by analogy with the previous formula, it is necessary to use this equality: β = arccos(A/S). The sum of angles of a triangle makes it unnecessary to use trigonometric functions if the point is given the value of one of the acute angles. In this case, to compute the unknown angle (α), just subtract from 180° the values of the two known angles straight (90°) and acute (β): α = 180° - 90° - β = 90° - β.